The Kemp mirror is free flowing expressive piece of art, as well as a mirror. 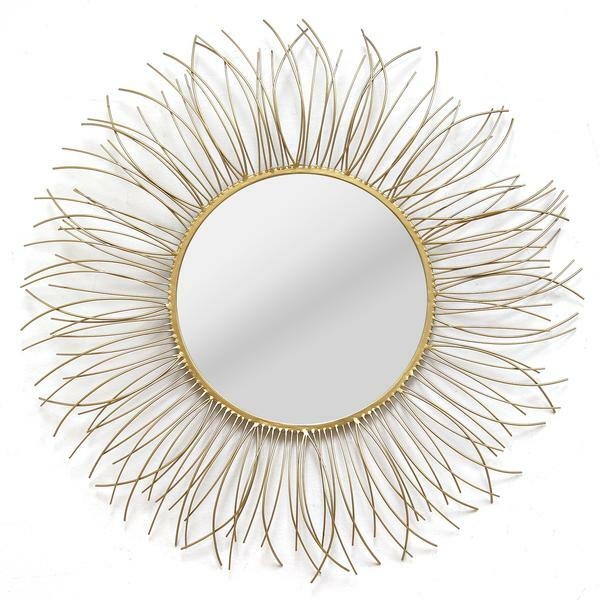 Elegant appears to float all around an atttractive round mirror. Just the focal point for any design. Made from metal with a hand painted gold finish. Customizable for larger orders.